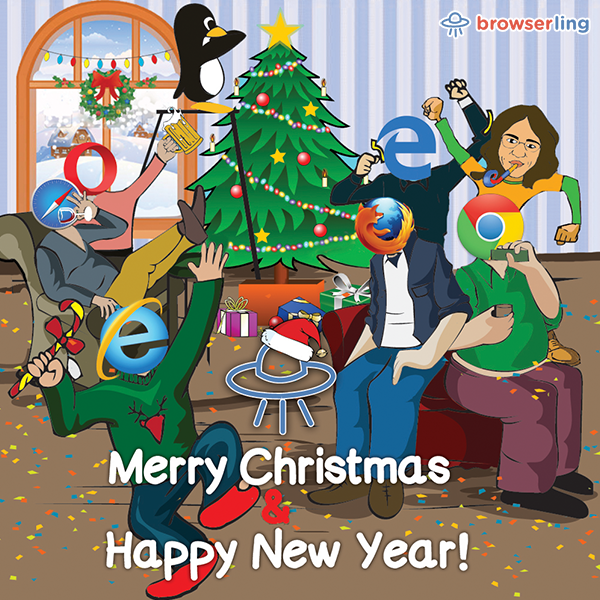 Merry Christmas and Happy New Year from me and all the browsers! This blog post is a repost of Happy Holidays on Browserling's cross-browser testing blog. Update 1/4/17: Guys, don't drink with the browsers. Worst experience ever. This is what happened on New Year's Eve. 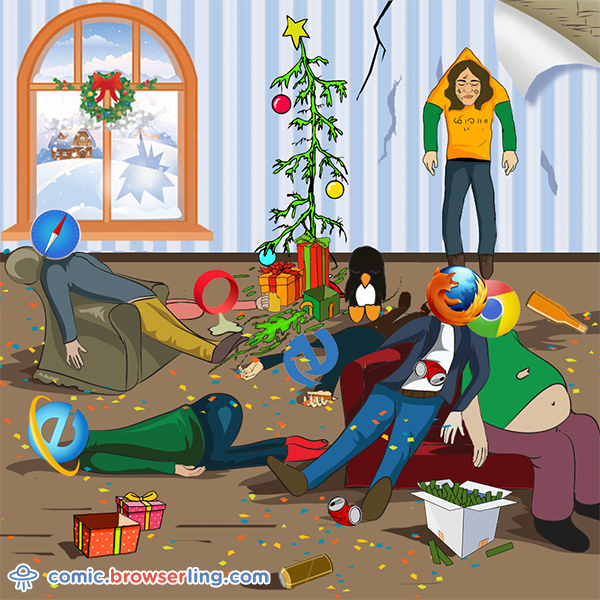 Source: New Year's Party Aftermath (comic.browserling.com).